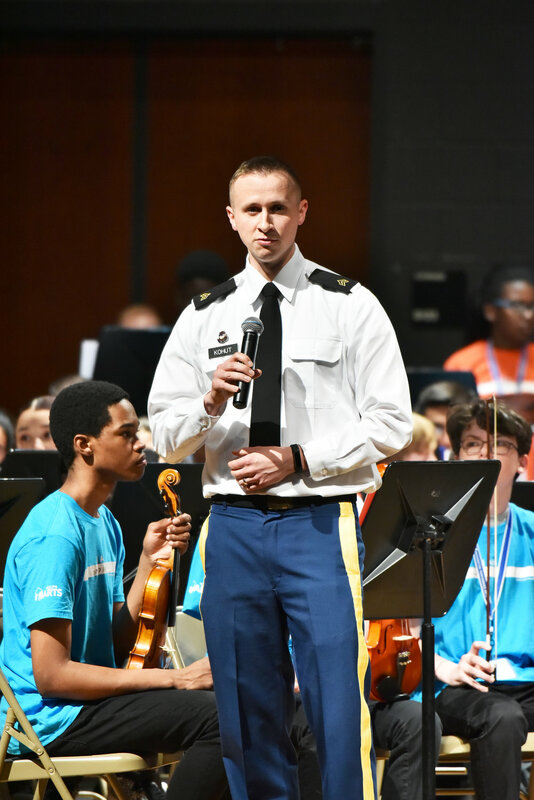 In collaboration with DC Public Schools, Washington Performing Arts, George Mason University, and The Air National Guard Band, The Washington Chorus is pleased to present the annual DC Honor Ensembles program. 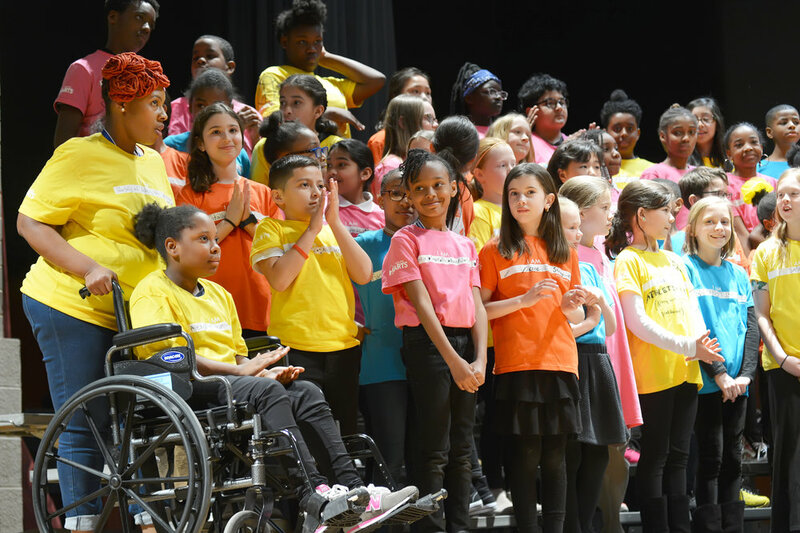 The ensemble includes elementary through high school aged participants from across all eight wards of the District of Columbia. 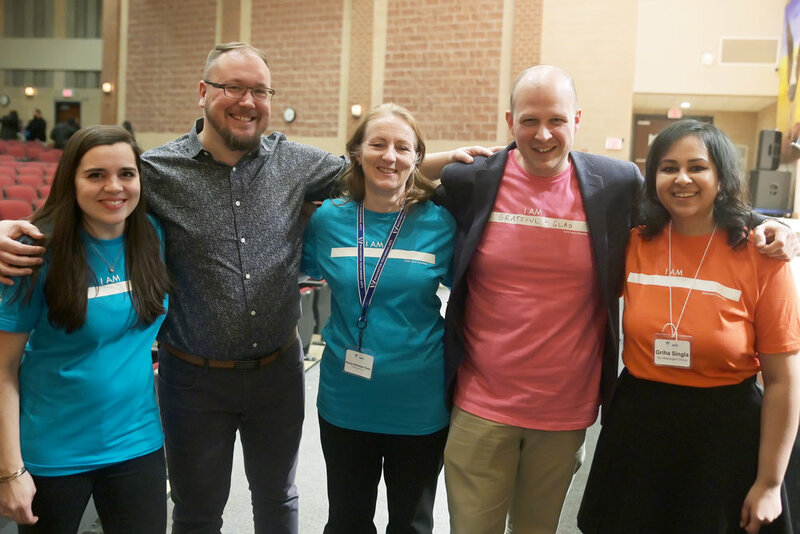 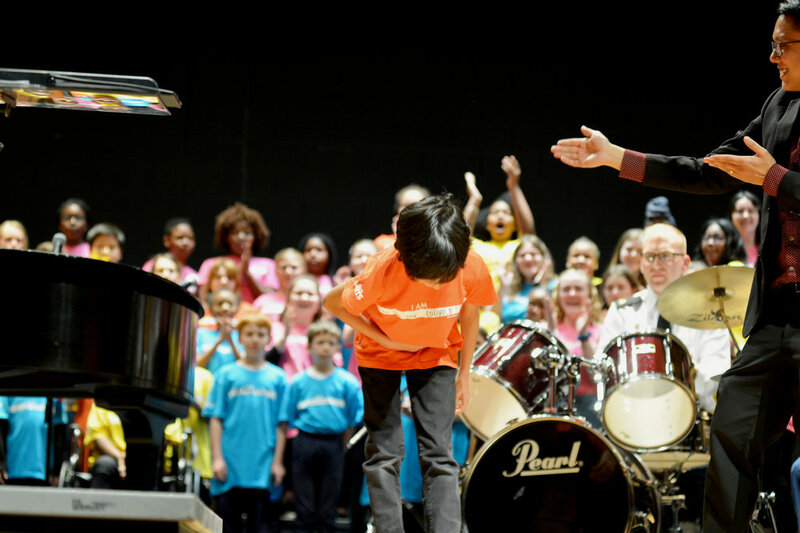 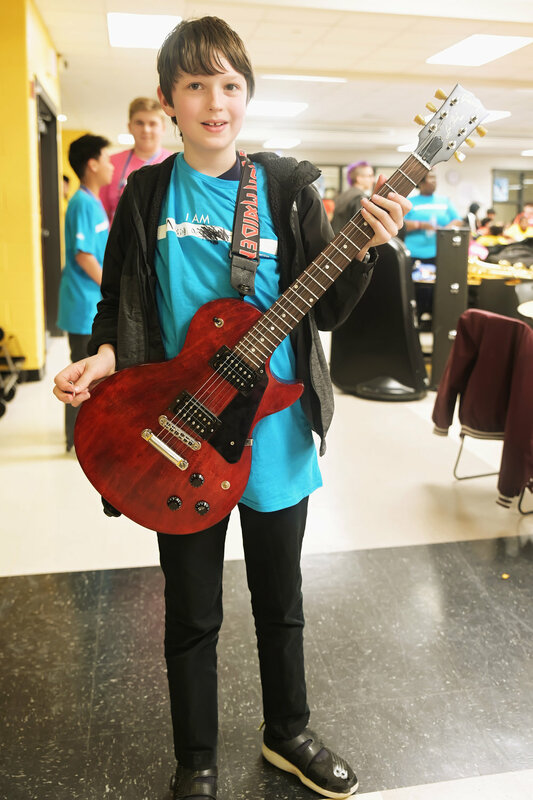 Students in grades three through twelve join together for a two-day festival of intensive rehearsals, culminating in a free and open-to-the-public concert. 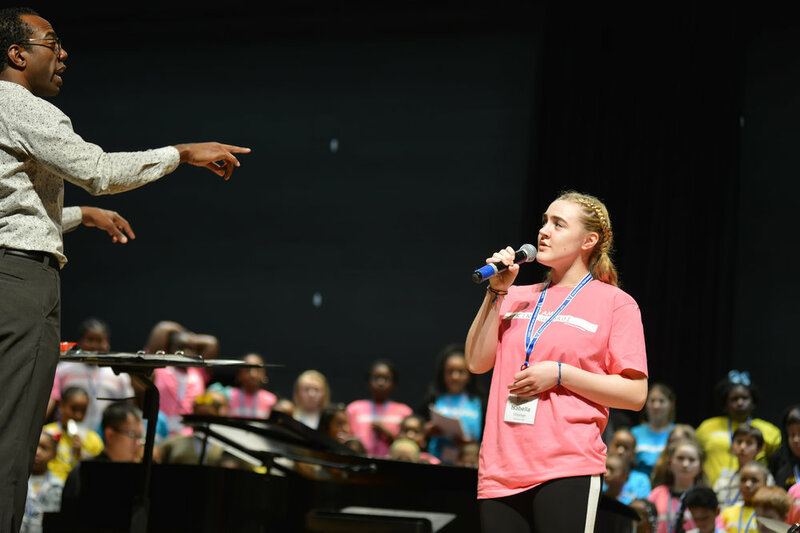 The 2019 DC Honor Chorus was made possible in part by the National Endowment for the Arts and KPMG. 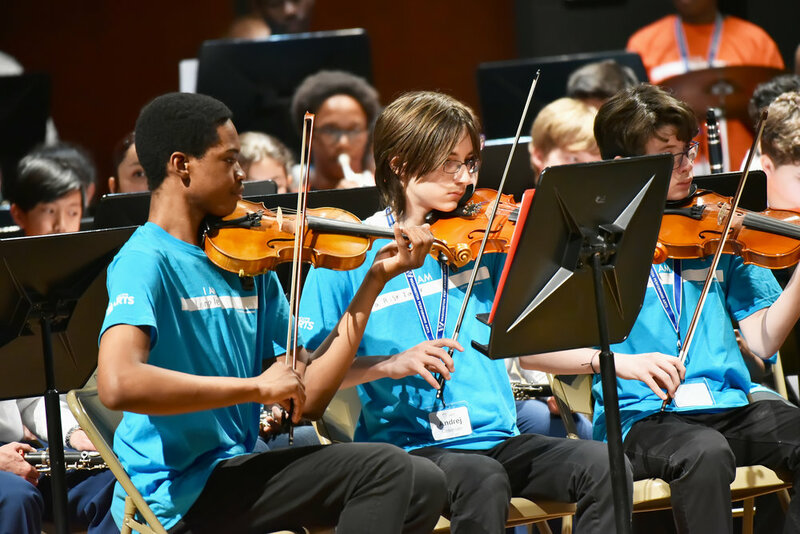 The 2019 DC Honor Ensemble is made possible in part by The Linda and Isaac Stern Charitable Foundation, and by Mr. Bruce Rosenblum and Ms. Lori Laitman. 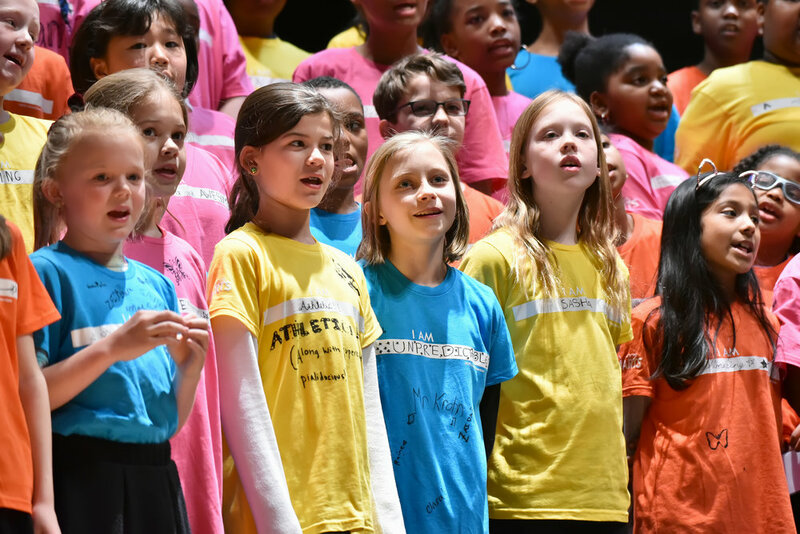 Enjoy this video from the inaugural DC Honor Chorus concert, featuring the secondary chorus performing HLOHONOLOFATSA, a South African Greeting Song, aranged by Daniel Jackson.